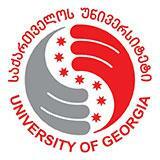 Senior year students, MA students, and Graduates of the University of Georgia have an opportunity to apply for an office manager position at one of the IT companies. · Procurement and inventory of stationery items. · Social Media Management experience. Work type – Full time; paid. In order to apply please fill out the application form by following link – https://docs.google.com/forms/d/e/1FAIpQLSeJHT8gSauulpMCsUZxubQ2Wjru7BsB4E7gnQlH6qoa2YHy7A/viewform - till March 9, 2019. For additional information please contact the Office of Student Employment Support (address: UG 4th Building, Office #115 (first floor) career@ug.edu.ge Tel: 255 22 22 (Ext 388), where you will be able to obtain assistance in improving your resume, preparing for an interview and obtaining skills necessary to better present yourself to a potential employer.